The full moon is upon us. Did you think that it would matter? I never really thought about lunar cycles before earlier today. While I do love the cosmos, I can’t say that I previously ever felt a personal connection to the outer limits. However, this morning, I started to second guess myself. I think… the full moon… messed up my sleep last night. No really. And I’m not the only one! After posting about my restless night on Facebook, I had dozens of friends chime in saying the same exact thing! They ALSO had a terrible night’s sleep and didn’t have any particular reason as to why. So strange! 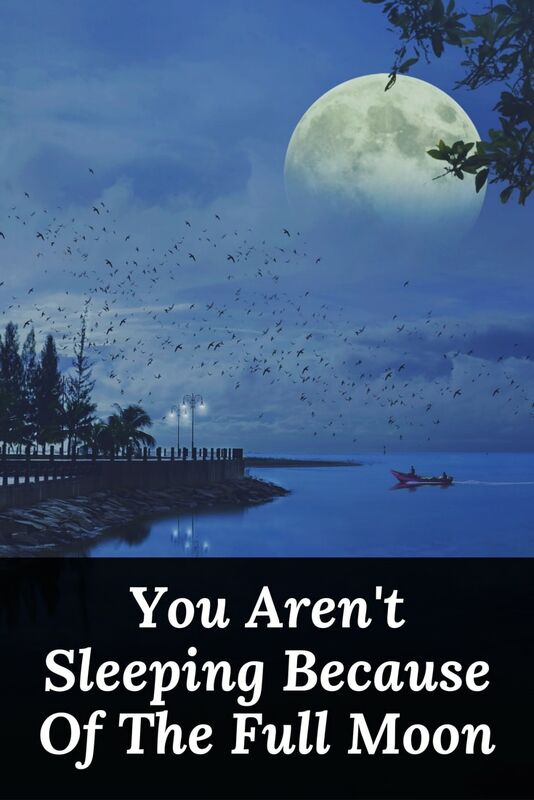 One thing was a common thread amongst us all – we all slept under the full moon. What a crazy concept, right? Well, not as crazy as you think! After a quick search, I found a LOAD of articles all talking about how the full moon can affect our sleep cycles. One study after the next. One blog post after the next. One encounter after the next. According to one study, “EEG activity related to deep sleep fell 30%, melatonin levels were lower and the subjects reported feeling less refreshed the next day than on other days.” Deep sleep dropped 30%!? All because of the full moon? WOW!! I believe TONIGHT – November 4th – is the true full moon, but last night was close enough. On November 4th, the full moon is known as a Full Beaver Moon. According to the Farmer’s Almanac, the Beaver moon gets its name because it came at the time of year when the early colonists and the Algonquin tribes set their beaver traps before the swamps froze. Don’t you just love history!? How did you sleep last night? 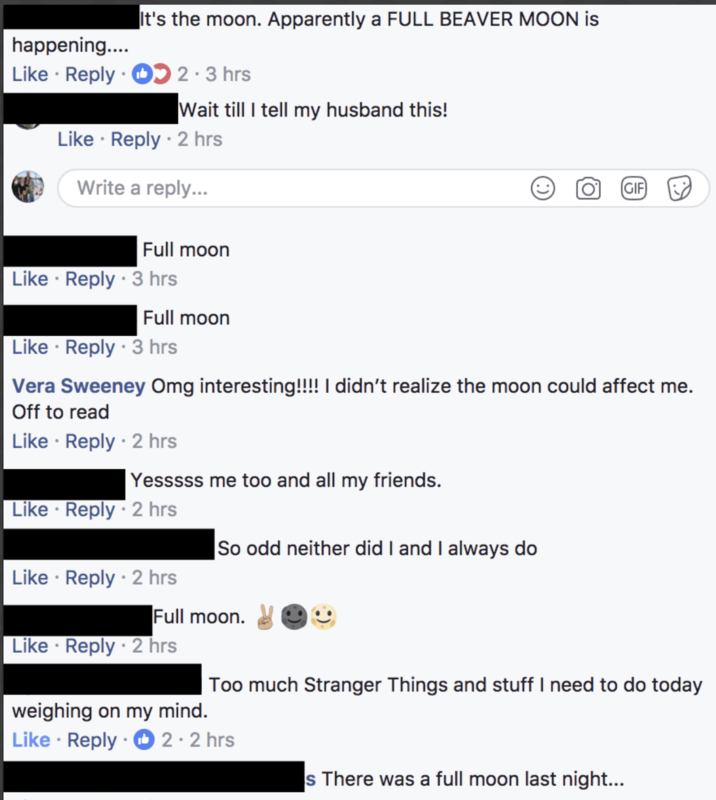 Maybe only certain people are affected by the full moon? I am plagued with migraines and am very sensitive to just about everything. Not everyone had issues last night, but I think it makes sense that I would. A full moon did me IN! Who knew?